With our Ireland Tours, you are free to enjoy your vacation without enduring daily sales pitches and unexpected costs while on tour. This inconvenience and distraction can dilute up to $550 per couple per week from your vacation budget. These features are already included in your tour package price. Our tours include daily sightseeing with prepaid admission fees, full breakfasts, table d'hote dinners, medieval banquets, cabarets and much more - everything to make your vacation a lifelong memorable experience. The "No Optional Extras" policy enables our tour directors to focus 100% of their time to your enjoyment..
At the end of every coach tour, we distribute a questionnaire so that travelers can evaluate their own experiences and give us feedback. All completed questionnaires are fed in to a computer program that provides us with percentages on every facet of the tour. Our Quality Control Department follows these ratings and comments very carefully and, if not up to our standards, the hotel, restaurant or visit is advised that it needs to improve if it wishes to continue to feature in our portfolio of tours. If you are a first time traveler to Ireland, we advise taking a coach tour as being a more relaxing experience. While self-drive vacations appear to be less expensive, you must take costs for gasoline, meals and admissions into account. 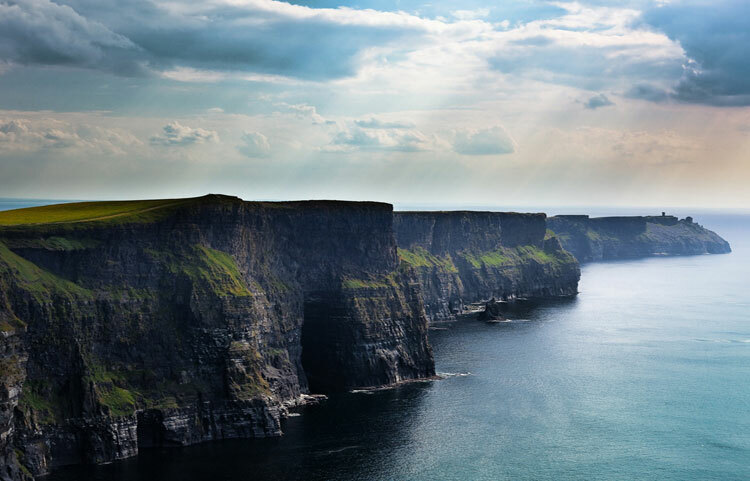 The focus of our Ireland Tours is to deliver the best possible vacation to every client on every tour. For many people a trip to Ireland is a dream fulfilled and we want everyone to have a remarkable travel experience. After all, it may be a once in a lifetime trip for some while others are so entranced that they return time and time again.